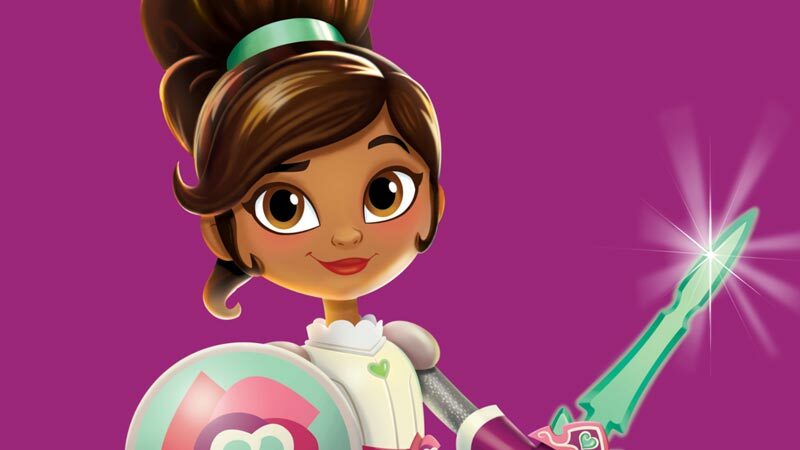 When Nickelodeon commissioned the internationally renowned Brown Bag Films to produce a new Children’s animation series, Nella the Princess Knight, they knew they needed some exceptional audio to support the cutting-edge animation. For the past year-and-a-half, dock10 has been creating soundscapes and SFX for the show, which follows the adventures of a Princess who can magically transform into a knight! In early meetings, dock 10’s senior sound designer, Neil Haggerty, proposed using realistic SFX which would allow the more fantastical magic sequences to really stand out. The show’s creators loved this approach and it helped generate a really positive working relationship. With a highly efficient workflow in place, dock10 can work on up to six episodes at a time. First, the dialogue is adjusted to give a greater sense of location, such as adding reverb and delay when the characters explore a cave. Next, soundscapes are created to evoke a sense of place and underlying atmosphere. With many scenes set in a variety of forests, Neil mixes together a wide range of individual SFX to differentiate between the types of woodland. A huge number of precisely timed spot effects are also added, such as footsteps and movement. For further flavour, each character’s armour is given a distinctive sound, with tin cans and brass pipes being used for battered armour, and plate metal giving a crisper sound for polished armour. Many individual sounds are crafted together to make each individual effect, and these are often used to add comedy to the animated action. Finally, a specially composed music score is mixed in, and minor tweaks made to ensure that it fits perfectly with the SFX. Following feedback from the client, a final mix is made and delivered for mastering, along with all the individual components to allow for foreign language dubbing. In total, dock10 will be working on 80 episodes, following on from the successful worldwide programme launch.